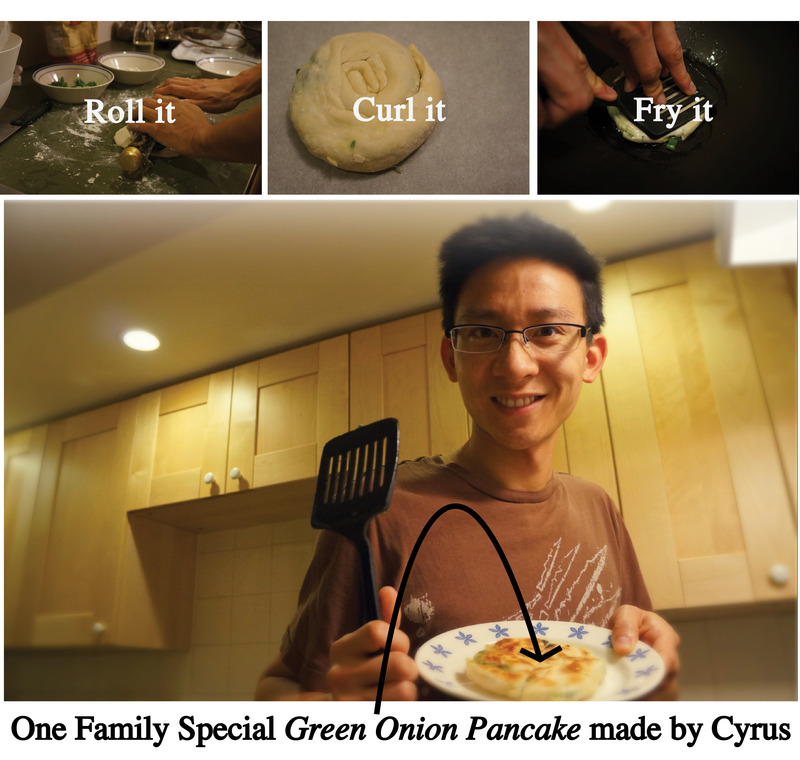 Cy made his family’s secret recipe for Chinese green onion pancakes for the first time. Over the years, Cy helped and watched his dad make them enough times to pick up the steps. More about these Chinese Green Onion Pancakes. In Chinese, a green onion pancake is called a Chong Yao Beng which is directly translated as green onion, oil pancake. So, you can already guess as to what kinds of ingredients would be in these pancakes. Oil and green onions (also called scallions or spring onions) plus some flour, salt and water. When I tried them, I found that they did taste better. In fact, they were the best green onion pancakes. Sorry, no recipe only revealing pictures of the preparation. Like I said, it’s a family secret recipe. Random-for-fun fact: We don’t have a rolling pin (yet) so we wrapped a balsamic vinegar bottle in saran wrap, and ta-dah! I learnt this from my friend Janela.